Day 01: Welcome to Aswan. Arrive in Aswan and transfer to Nile Cruise ship. 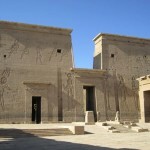 Proceed with the visits of Aswan including the Temple of Philae, the High Dam and Unfinished Obelisk. Sail to Kom Ombo Visit the Temple of Kom-Ombo, dedicated for Gods Sobek and Haroeris. Sail to Edfu & dinner on board of the cruise. Arrive Edfu & overnight on board of the cruise in Edfu. Visit the Temple of Edfu, dedicated to the God Horus. Sail to Esna Lock, Cross Esna lock and continue sailing to Luxor. Overnight on board of the cruise in Luxor. Proceed with the visits of the West Bank of the Nile including the Valley of Kings, the Temple of Queen Hatshepsut at Deir El-Bahari and the two colossi of Memnon. 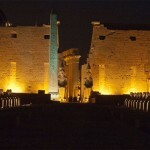 After the visits, transfer from Luxor to your Hotel in Hurghada. 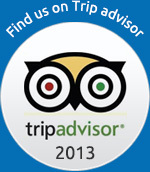 Tour ends after breakfast, included onward transfer to Hurghada Airport. Dear Clients Please know that the tour price covers the services stated in the “Inclusions” section only and there are many other personal expenses which will occur during your trip are not included in the Tour prices such as Entrance fees, Optional Activities, Tipping etc … Please read bellow of this Page. 3 US$ x 3 Nights x 2 Persons = 18 US$. So you Leave 18 US$ in an Envelope at the Reception on the End of your Nile Cruise Trip. 2 US$ x 4 Nights x 2 Person = 16 US$. So you Leave 16 US$ in an Envelope at the Reception on the checkout Time. Egyptian Pound (EGP; symbol E£) = 100 piastres. Notes are in denominations of E£200, 100, 50, 20, 10, 5, 1, 50 piastres and 25 piastres. Coins are in denominations of 25, 20, 10 and 5 piasters. Available at banks, official bureaux de change and most hotels, Banks often have better exchange rates than bureaux de change or hotels. All common international currencies are accepted. American Express, Diners Club, MasterCard and Visa are widely accepted in all but the smallest hotels and restaurants throughout the country, except in the Western oases. These are becoming less useful now that international ATMs are prevalent throughout the country. To avoid additional exchange rate charges, travelers are advised to take traveler’s cheques in US Dollars, Euros or Pounds Sterling. The import and export of local currency is limited to Eâ£5,000. The import and export of foreign currency is limited to US$10,000 or equivalent. Exchange Rate Indicators: Kindly visit the website of the main bank in Egypt to see the update exchange rates.